Easter Egg hunts are a fun way to celebrate the season. Many of these events offer festival activities in addition to the hunts. The best part about Easter Egg Hunt events is that most of them are completely FREE. There are lots of community Easter Egg Hunts scheduled in Nashville and Middle Tennessee in the next few weeks. So grab the kids and the baskets and go huntin'! 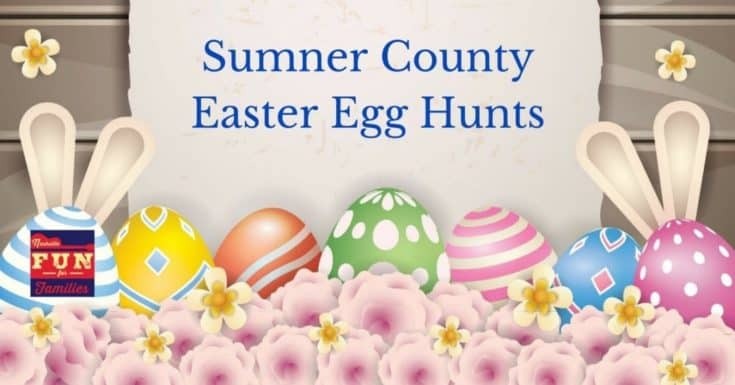 Click on the links below to see separate lists for each county and then scroll down for even more area Easter egg hunts. Hunt for Easter Eggs in Nashville! From Goodlettsville to Antioch to Hermitage to Bellevue. 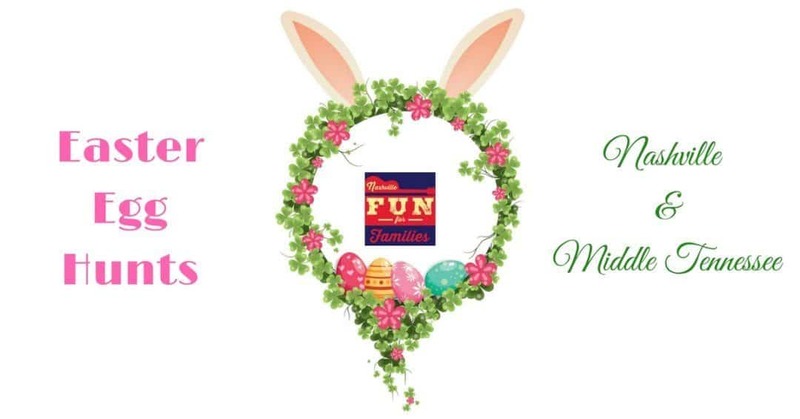 The Easter bunny is coming to visit all areas of Nashville and you can find the details for all the egg hunts here. Do you live north of Nashville? 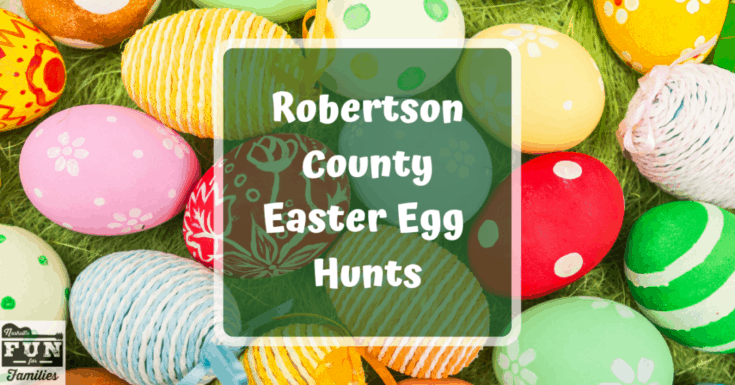 Robertson County has some great egg hunts in Millersville, Springfield and the surrounding areas. 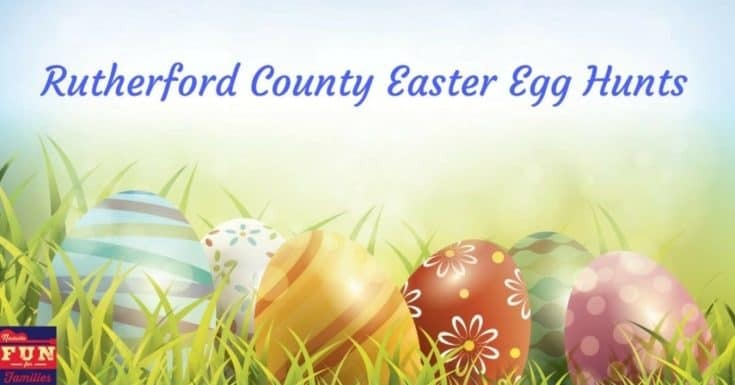 Hunt for Easter Eggs in Murfreesboro and Smyrna. There is even an egg hunt underwater! Find a full list where the Easter Bunny is planning a visit. Hunt for Easter Eggs in a Castle! 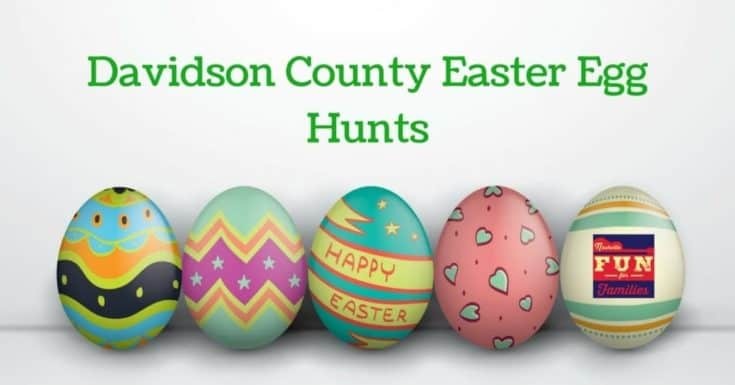 The Easter Bunny is visiting Hendersonville, Galatin, Portland and more. Get all the details so you can fill your basket with treats. 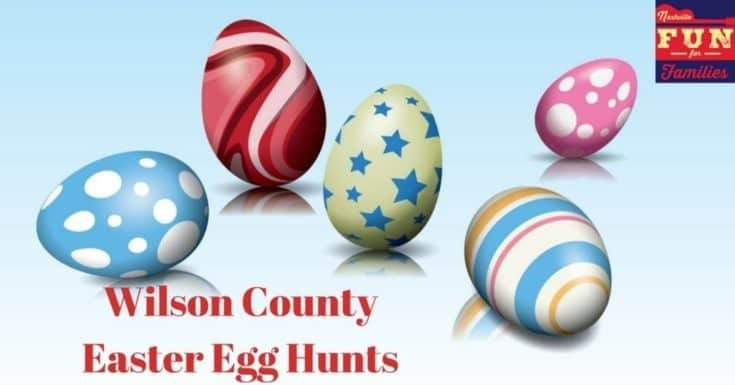 Search for eggs south of Nashville in Williamson County. The Easter Bunny will be hopping through Brentwood, Franklin, and Spring Hill. A Helicopter will be dropping eggs for all in Lebanon! 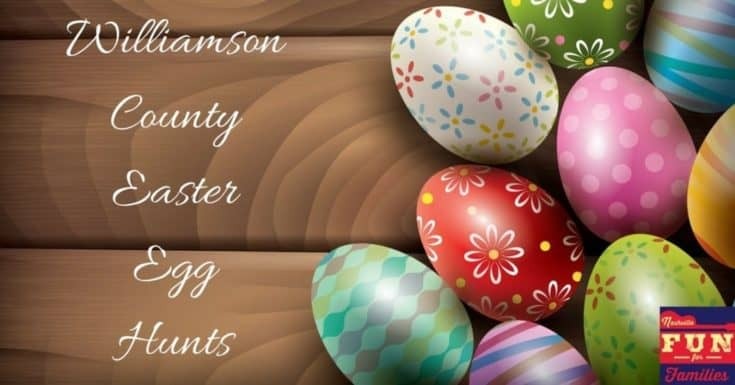 Easter egg hunts are planned for Mt Juliet and Watertown too!